911 Restoration Portland wants to ensure your home remains protected against the dangers caused by roof leaks, pipe bursts, sewage spills, and flooding through our water damage repair and restoration services. If you’re in need of a fresh start, our water damage Cornelius team to provide you with the assistance you need to make your home look good as new! Our licensed, insured, and bonded team will always be ready to take care of these issues right away. To respond to your concerns as soon as possible, we will make sure that we’re at your property within 45 minutes of your call. This will help in avoiding concerns such as wood rot and mold growth. No matter when these kinds of emergencies occur, you can rest assured that we’ll be available 24/7 to take on these problems and get your home back in shape! A sewage spill emanating from a toilet overflow is one the most serious water damage concerns that can affect your home. 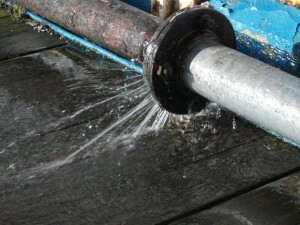 This type of situation occurs whenever there is an excess pressure buildup within the city’s sewage system. That pressure causes black water to rise up into your home through a toilet which can bring in a flood of filth into your home. Sewage water is filled with all kinds of biological contaminants that can severely damage your home and can spread all kinds of diseases. Whenever this type of emergency occurs, 911 Restoration’s water damage Cornelius team will be equipped and ready. We will be wearing protective hazmat suits that will keep us safe while we work and prevent any spread of sickness. 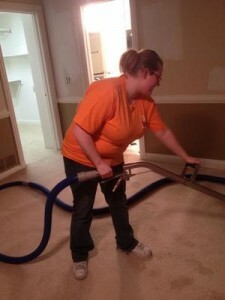 To extract the black water out of your home thoroughly, we’ll be using advanced drying tools. Once cleared, we’ll be decontaminating the affected area using our industrial strength cleaning solutions. We will be repairing any damage to the plumbing and to your home’s interiors. Our IICRC certified technicians will also be checking for other problems such as mold growth and perform the necessary remediation. Once we’re done, you can rest assured that your home will look good as new! 911 Restoration Portland will always put our customers first so you can expect only top of the line water damage repairs and restorations that will address concerns such as roof leaks, sewage spills, flooding, and pipe bursts. We will also assist you in filing your claims with your insurance provider for your absolute convenience. Whenever water damage situations arise, you can always count on 911 Restoration to be there to offer you a fresh start. Give us a call today!